Warmth, colour, fun and humour, all characteristics of New & Lingwood’s Summer collection, are also hallmarks of the very English events of the Summer Season. 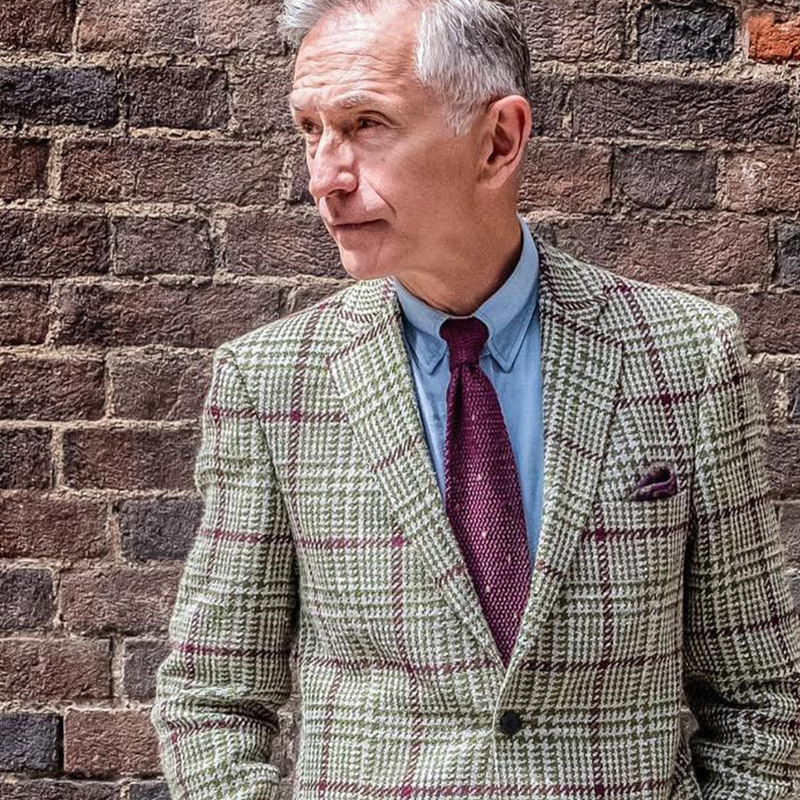 Whether racing at Goodwood or Ascot, rowing at Henley, tennis at Wimbledon, garden parties, polo matches, opera at Glyndebourne, sailing at Cowes or the many other events that brighten our Summer months, it adds to the sense of occasion and enjoyment to dress well. 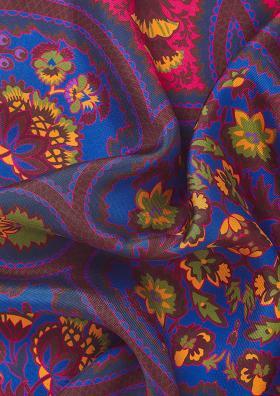 Selecting from N&L’s range you can dress either classically low key or add a touch of British panache with splashes of colour and pattern. 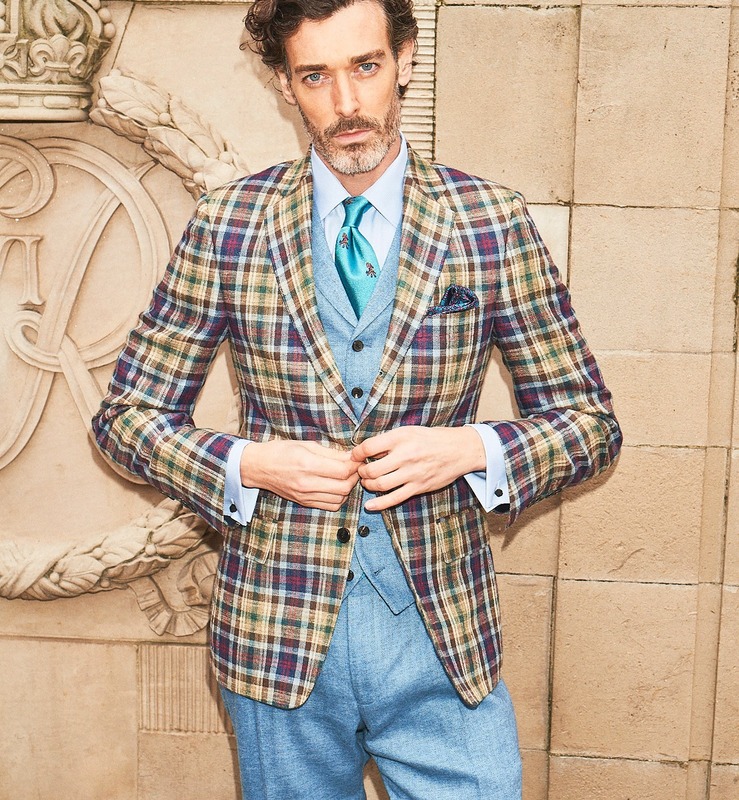 For Ascot, if morning dress is required, you may be wearing a Fitzrovia morning coat with striped trousers and a buff waistcoat. 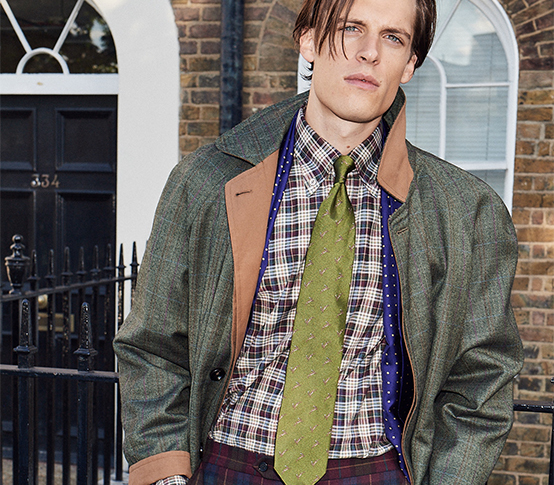 A coloured shirt and silk tie and formal black oxfords will ensure you look the part. 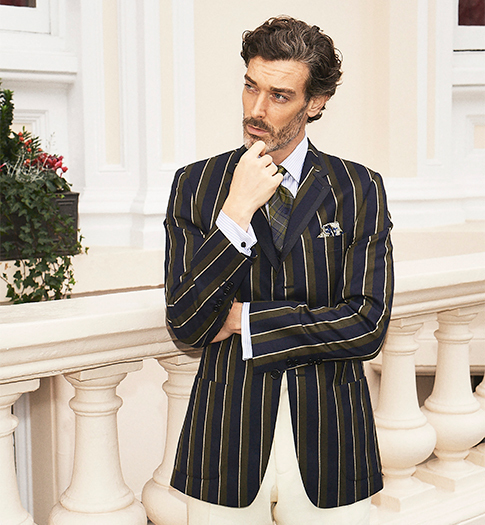 For the rowing at Henley a jaunty striped blazer is ideal or a plain blue blazer if you prefer a quieter look. Cream flannels, a plain or subtly patterned cotton shirt, cravat or striped tie and suede loafers or deck shoes go well with this look. 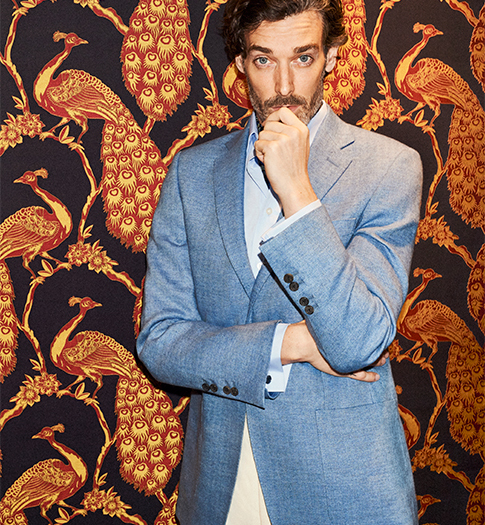 Try pairing Rannoch boating stripe blazer with cream flannels and tan loafers. For Wimbledon a casual, stylish look works well (topped off by a Panama hat to keep off the sun). A plain linen jacket, chinos and trainers for comfort and sporting style. For other English Summer sporting events, such as cricket or polo, there is usually no need for any formality unless you are invited to a specific event. 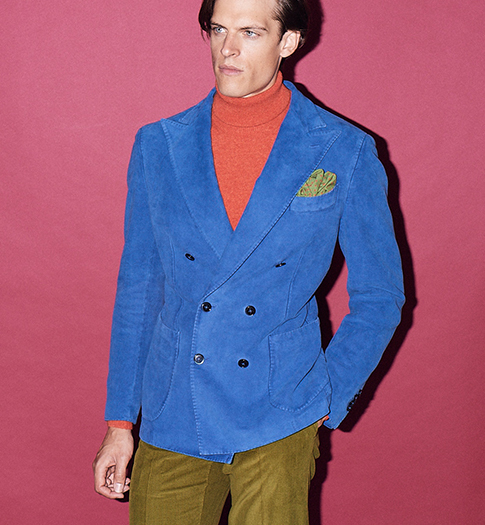 Chinos and loafers or suede oxfords will ensure you stay stylishly comfortable. A flannel jacket keeps you warm as the temperature dips during a long match. 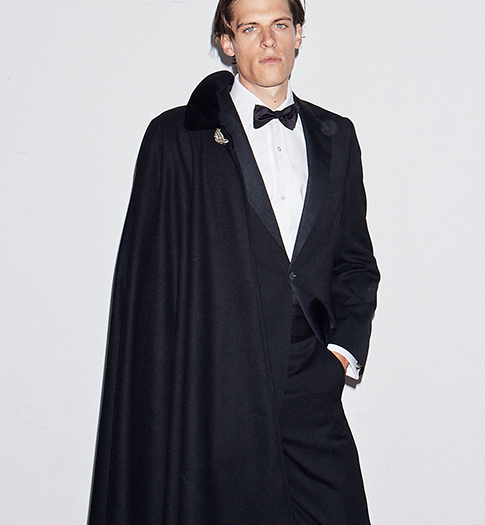 For Glyndebourne, wearing black tie is customary and you will see few who don’t rise to the occasion. 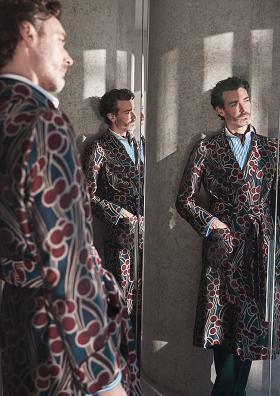 There is slight leeway and, as this isn’t a formal event with a required dress code, there is scope to add some individuality in the form of colourful pocket squares, subtly coloured bow ties, a velvet smoking jacket or crisp cream tuxedo and velvet slippers. For the many other events of the English Summer you’ll be able to find a variation of the looks suggested here to suit the occasion. Cool comfort is essential and the trick is to achieve this with style. N&L’s summer collection is designed for this very purpose; just ensure a perfect fit and you’ll enjoy a truly English Summer season. Finally, don’t forget the English weather. These events are outdoors and subject to its vagaries. An umbrella and lightweight raincoat should be packed just in case.